I wish to thank you for the excellent job you did selling my property in Boca Raton. It was not an easy job going through all the negotiations, but you stuck right with it. You also kept me very well informed. I would like to recommend your services to anyone needing them. You have certainly done an excellent job for me. Thank you! Allan J. My husband and I have known Michael and Renee professionally for several years. So of course, they were the ones that we wanted to sell our Pompano Beach home. We are so happy with that decision. Michael and Renee are first of all, very professional and can back that up with knowledge and experience in today's real estate market. I could ask Michael to go over and check the house, when we were out of town, and he never gave me any indication that he was too busy. So our house is sold and we are very grateful for Michael and Renee and all of their hard work. Too bad there are not more good people out there like the Luzzi Team. Thanks a million Michael and Renee. Randy & Lonnie R.
The Luzzis assisted us in buying our first home. Everything went so smoothly so we decided to contact them again, seven years later to move on to our next home. The quality of their work-Excellent! Their ability to be tough and negotiate- Top Notch! The second part was not as easy. Finding a new home became quit the challenge! We thought this would be the easy part. Trying to upgrade when most homes are a short sale or a foreclosure turned out to be a longer experience then we had hoped. All in all, it took 90 days to find a home and close and the Luzzis were very patient and gave wonderful advice. They are detailed oriented and very professional. Their persistence got everything closed quickly and properly. They are great listeners and always worked around our schedule with jobs and two small kids. Thanks for everything. We love our new home! Brenden & Eileen R.
Now that our Timbercreek home has closed, we want to take the time to thank you for your outstanding efforts on our behalf. As we discussed, early in our meetings, it was a real comfort factor knowing that you accompanying any potential buyers and their agents through our home, which made that process timely and efficient. At the end of the day since we were not always available to notice a light left on in the home, for example, it gave us peace of mind. Thank you again for your professional guidance and efforts. Very truly yours, Carol and Bruce H.
It was great to have Michael and Renee Luzzi working with and for us in selling our Timbercreek home. Their professionalism, negotiating skills and knowledge of the business and the area were outstanding! Thanks to their efforts and hard work we are closing the deal! 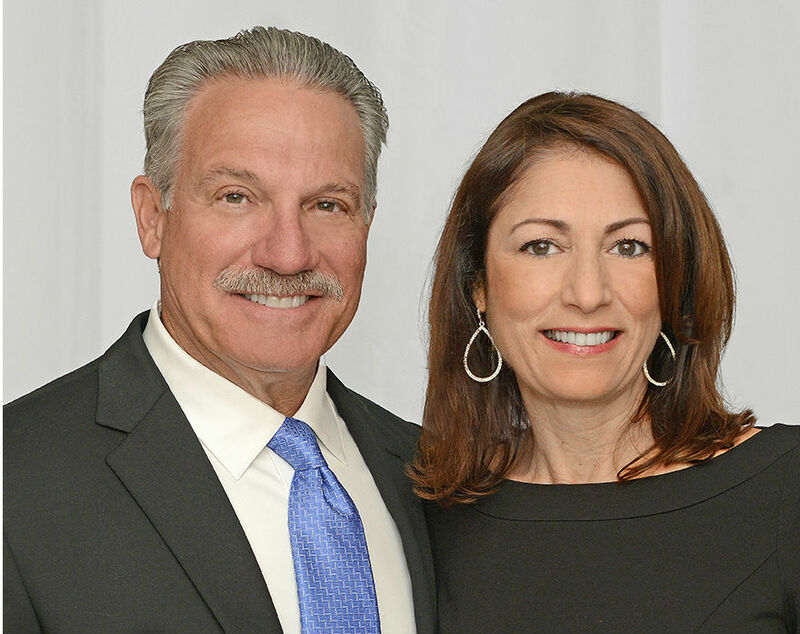 Thank you Luzzi Team, Rick & Judi C.
Over the past three and a half years, Renee & Michael Luzzi has successfully helped me and my family through every phase of the Boca Raton real estate market- buying, selling and renting. During often difficult times, both in the general market and in specific transactions, they knew when to apply the light touch and when to be tough in negotiations, leading to the desired outcome in each instance. Furthermore, I was able to trust them with the disposition of my Boca Raton property from long distance. I confidently recommend the Luzzis as your agents for any type of real estate transaction in the Boca Raton market and surrounding areas. You can trust their personal integrity and their professional skills and judgement. Steve S.
After struggling with another Realtor for months, I recalled meeting Michael Luzzi while he was handling the sale of a neighbor's home. Michael had impressed me with his professionalism and genuine concern for negotiating a favorable sale for my neighbor. After reconnecting with Michael, he provided good, solid advice and I immediately listed my home with him. Not only did Michael bring the list price up in line with current market values, an increase of several thousand dollars, he secured a contract with a highly qualified buyer within one month and two weeks at 97% of the list price which closed in record time. During negotiations with the buyer, Michael again provided solid advice but his assistance and advice continued strong throughout the process. With Michael's real estate expertise and excellent market knowledge, he provided exact and pertinent information for the survey and and the appraisal professionals allowing these individuals to also complete their tasks quickly and without any issues. This is no easy task in the current market conditions of South Florida and I give full credit to Michael. Real estate transactions can be extremely stressful but with Michael handling the transaction, I felt amazingly calm and at ease knowing he was handling every detail with professionalism and care.I have told him many times that he truly saved the day for me. He thanks me for my business but he is the one that really deserves the thanks.So thank you Michael! All Realtors are not created equal. Pam M.
In all our dealings with realtors over the years, we have never met anyone as helpful and energetic as you have been. You gave 150%, but most of all, you did everything you said you would to get it sold. You are an experienced realtor who cares about getting things done and doing them right, without hesitation. We would highly recommend the "Luzziteam." Neil & Rita N.
Renee helped me sell my condo in Pompano Beach through a Bank of America Cooperative Short Sale. From the very start, I trusted her and could tell she was knowledgeable about my situation. Renee knew which offers were the best to accept rather then just taking the first one that came in. Not all real estate agents are willing to do short sales, but Renee worked hard for my benefit so it would be the least stressful for me as possible. She also helped me find a rental in Boynton Beach at the last minute, as soon as we found out the closing date! The entire process was much easier than I thought it would be. Anna O. It is not often that I write testimonials about customer service because good customer service is truly rare these days. That is why I am writing this. Thanks to the efforts of Renee Luzzi at Remax , our house that was facing imminent foreclosure, recently sold in a cooperative short sale. We have tried for five years to sell this house and have had numerous Realtors involved without success. We thought for sure that it would go into foreclosure. My wife and I just wanted to express our sincere thanks and appreciation to Renee for an excellent job done. Renee remained diligent through all of the issues and communications involving two banks, the mortgage service company and the buyer. I would be happy to recommend Renee and Michael Luzzi to anyone seeking to sell or purchase a home. With sincere gratitude, Richard and Kathy S.
My family wants to extend our thanks and appreciation to you for handling the recent sale of our property in Florida. The strong recommendation of you, that we received from our friend and Realtor in New York, was extremely well founded. You were incredibly responsive, sensitive, friendly and thorough in carrying out your duties and often went above and beyond our expectations. You made every aspect of the process as pleasant as possible. We wouldn't hesitate to recommend The Luzzi Team to anyone who wants to buy or sell property in Florida. We wish you all the continued success with your business and blessings in your life. With best wishes, John and Rose A.
Renee & Michael Luzzi handled the sale of our house with the utmost of care and professionalism. They also helped us find a new place to live. They knew how to navigate the ins and outs of the process to make sure everything came together as planned No last minute mix-ups or delays. Thanks Renee & Michael. Denise & Patrick F.
Throughout the process of helping me to find a great home, Renee was always patient, understanding, and guided me in the right direction. I would recommend her in a minute!! Brabara L.
We relocated to Florida from Colorado and several of my husband's new coworkers recommended Renee. She's lived in South Florida for 20 years and knows the area very well. She helped us explore all our options as we weren't quite sure where we wanted to live. She got to know our taste quickly and made great suggestions of homes to see if we missed them in the MLS. She is also very patient - we took a while to make a final decision. Great negotiating skills - we got our home for a very fair price and it appraised well. If/when we list our home it will definitely be with Renee! Amy M.
We were given Renee's number a few years ago from friends at our kid's school in Boca Raton. We were then looking for just a rental and she happily came through for us. She took the time to show us many homes and was extremely professional. When we decided to purchase a home in Boca there was only one person we would deal with and that's Renee. Again we overworked her but she never tired and got us in a home we are very happy with. We are very loyal to those who do their jobs well and with that in mind we had Renee represent us in the sale of our Golden Beach, FL home as well. When we sell this home, assuming she is still in the business she will again be representing us again. We only wish she did taxes too! Thank you Luzzi Team. Jim D.
We recently moved from Toronto To Boca Raton, Fl. Being a real estate agent in Toronto, I was quite picky about who we used to assist us in purchasing our house. We felt like we hit the jackpot when referred to Rene. She was absolutely phenomenal on all fronts including her knowledge of the various areas, price points, school districts, etc... On a personal note, her customer service was exceptional and she never made us feel as if she was pushing us in any direction yet aggressive enough to ensure we were well represented. I've since referred her and wouldn't hesitate to use her again. Michelle N.
Since my wife and I moved to Florida 16 years ago, Renee Luzzi has been our realtor for selling 2 homes and buying 2 homes. She did a great job in all 4 transactions. We were very fortunate to have her as our agent and we would highly recommend her. Sanford B. The Luzzi Team found a buyer and put my home under contract within a week of listing the house for sale. They achieved an impressive sales price which was very close to our asking price. After we went under contract, Mike & Renee quarterbacked the entire sales process for us to make a very smooth transaction. They handled every detail professionally and kept everyone informed and calm throughout the sales process. I would recommend them to anyone seeking top quality real estate service. Harry Z. When it came time for my family to find a new home in a good school district....I was lost on the direction of where to go. I wanted to make a sound investment, while making as much as possible out of my current home. Renee guided me on locations and schools, Michael educated me on how much I could realistically get for my house, which was about $22,000 more then I expected. Even though moving was stressful, I could not have been more happy with my experiences with The Luzzi team. When good people go above and beyond for you, I am proud to give a referral for this fantastic team of professionals, and already have. Kindest Regards, Jules M.